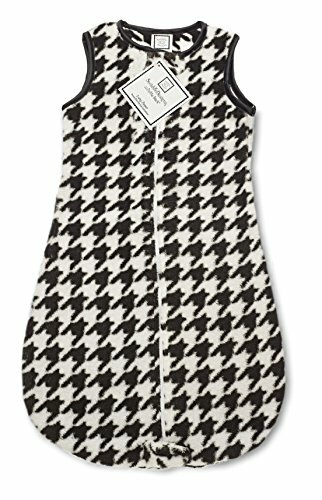 SwaddleDesigns Microplush zzZipMe Sack is a plush and cozy wearable blanket with a TOG rating of 2.2, perfect for temperatures of 65-70 degrees F, the range medical experts recommend for sleep. Our zzZipMe Sacks feature a 2-way zipper which zips down from the top, making it easy to place baby into sack, and also zips up from the bottom, keeping baby snugly warm during diaper changes. So easy. 100% polyester microfiber, plush inside and out with soft satin trimmed edges. Coordinates with a variety of our quality baby essentials. Machine wash. Made with love for the little one you love. Our cozy microfiber zzZipMe Sack is a soft wearable blanket for babies ready to transition from swaddling.